I held out on watching Sarkar til a couple of years ago. I’m ambivalent about Ram Gopal Varma films. When he is good, he is terrific. But he has wasted some interesting ideas and great actors in projects that seem to be more about RGV than making a film (like RGV ki Aag, and that film all about Mahie Gill’s cleavage). I’m also on the fence about Amitabh Bachchan in this late career phase. He’s made some bad film choices (like Boom!) and not always acted to his ability. 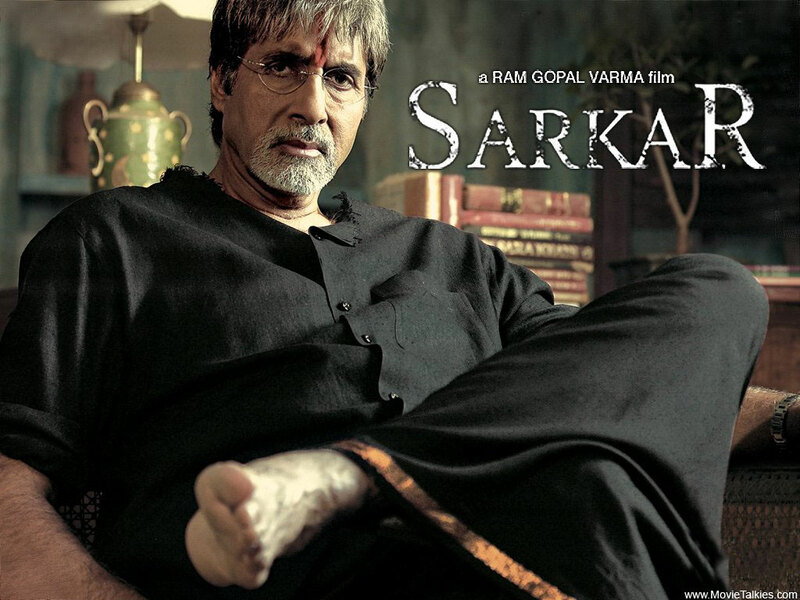 But Sarkar combines a focussed and controlled RGV with a complex performance from Amitabh and the result is a dark and gripping film. 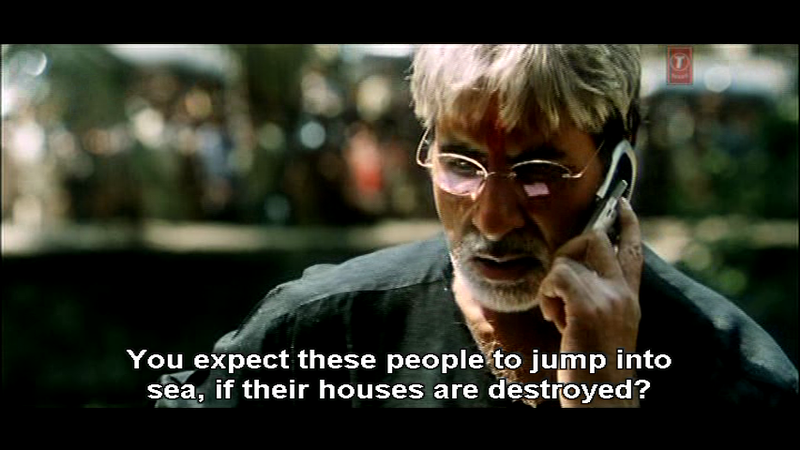 Subhash Nagre (Amitabh) is an old school mafia lord. He believes in family, honour and loyalty. He isn’t painted as really good or sympathetic but he has a certain integrity, an old fashioned set of rules that he adheres to and that he upholds. Nagre is connected to his community and neighbourhood, and thinks of the social cost as well as the profit and loss numbers. His people worship him, gathering outside his mansion to catch a glimpse of their Sarkar. They come to him when the system fails them, and he is their justice. Amitabh looks picture perfect. He creates a focal point in every scene with his stillness and his gaze. I found I was almost hypnotised by him, drawn to watching Subhash’s reactions no matter what else was happening. There is a carefully controlled rage in some scenes that is far more unnerving than any histrionics would have been. While Subhash acknowledges that he operates outside the law, he says ‘I do what is right for the people’. When people come to him asking for solutions, he accepts their obeisance with little expression. He makes a semblance of not wanting people to touch his feet etc but I wondered what would happen to anyone who dared not to. 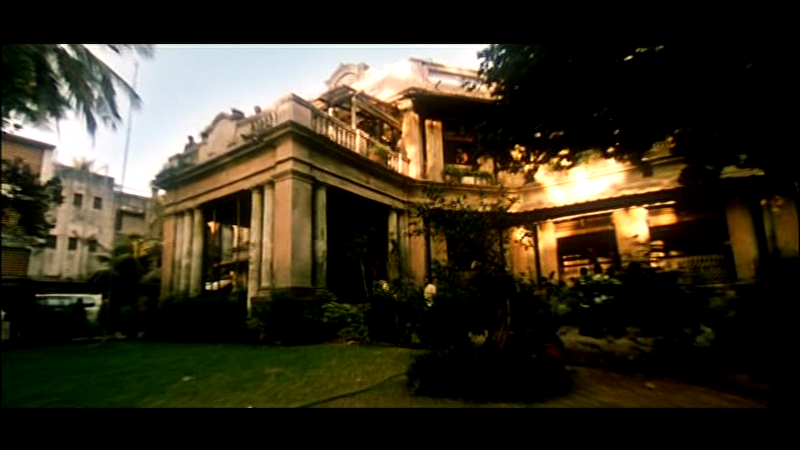 Some scenes are accompanied by a religious chant(Govinda Govinda featuring Amitabh’s vocals) showing the deification of Sarkar. There are glimpses of the monstrous ego behind the facade, the steely will that does not tolerate opposition or failure, and the carefully checked anger. We also see the family man and affectionate grandfather. Subhash Nagre is a complex man and he is a master strategist. 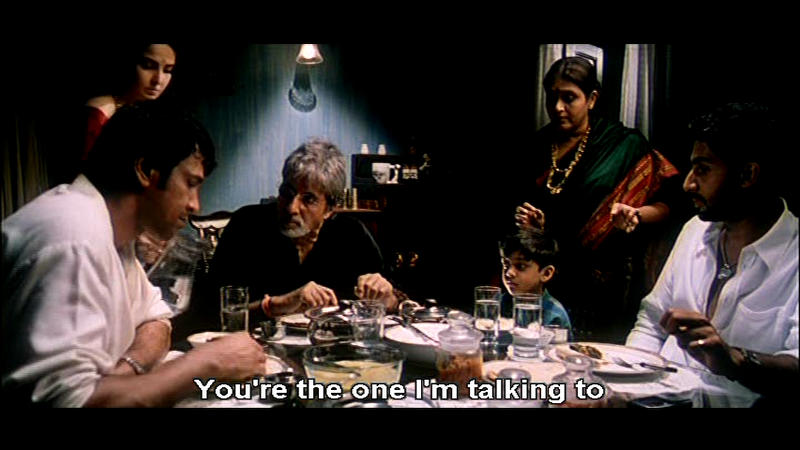 Amitabh shows all of these nuances without being too actorly and I was watching the character, not the performance. Subhash Nagre is challenged from within and without his family. Rashid (Zakir Hussain) is the new type of criminal. His decisions are all commercial and he has no empathy or reserve. He is not the kind of man Subhash is used to. There is no whitewashing of how Nagre makes his money, but the clashes hinge on honour and intent. He will not budge from his principles. His enemies know that to remove the man they must first destroy his reputation. Son Shankar (Abhishek Bachchan) returns from the US. Baby B has a role where doing an impression of his dad is actually appropriate. Initially believing that his father simply helps others, his eyes are opened to the realities of the family business. In a conversation with Pooja (Katrina Kaif) they refer to the Sarkar empire as a parallel government, supporting the people and doing what is right, not just what is legal. Shankar is appalled at how his father is portrayed in the media. He is the golden boy, the one his father wanted to keep clean and safe from the business. 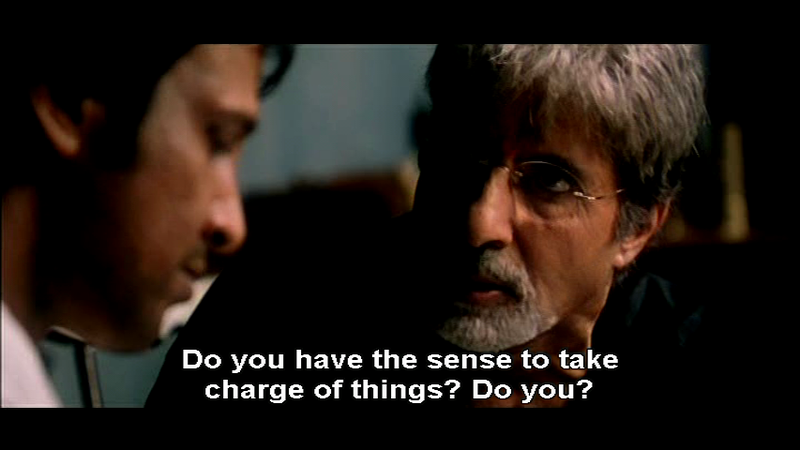 The focus and decision making Shankar used in his corporate life are now applied to his family concerns. He is a quick learner and he will do what it takes. 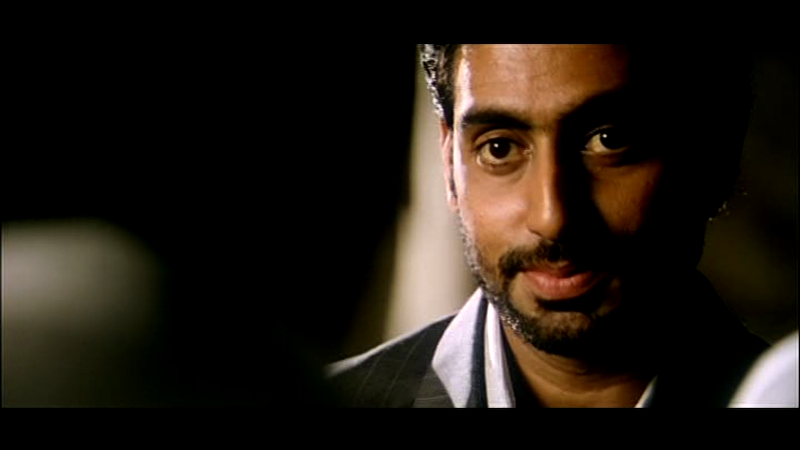 Abhishek is not completely convincing but he does structure his performance well. Initially Shankar is relaxed and engaging and his body language is more open. 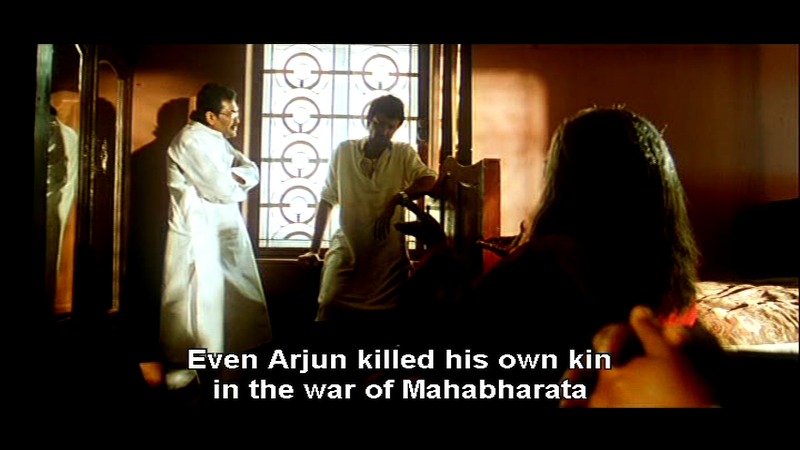 As he is drawn more into the threats to his dad, he assumes more of Subhash’s mannerisms and strategies. Abhishek’s face becomes less expressive, he speaks more slowly and moves more deliberately. And he is ice cold, like his father. 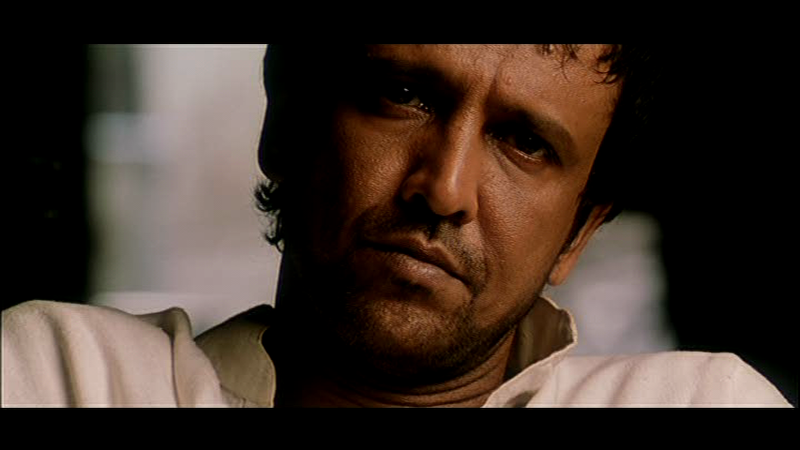 Vishnu (Kay Kay Menon) is the son most like his father in ambition, but lacking focus and self control. 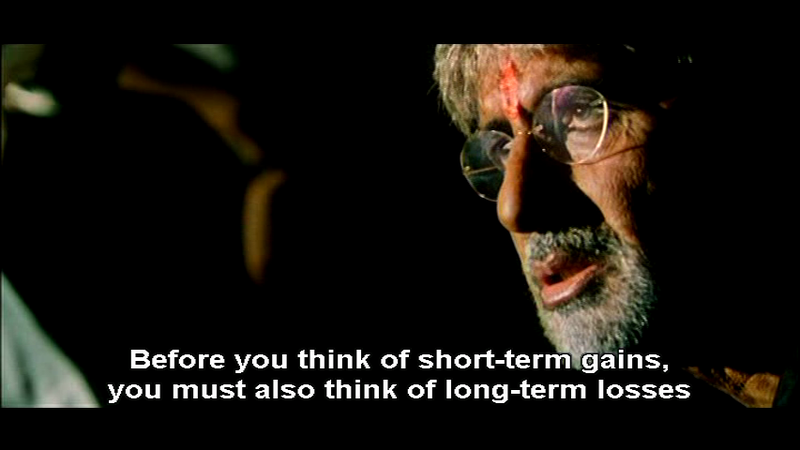 The tension in father-son relationship is well depicted as Vishnu challenges his father’s authority and decision making. The dynamic between Shankar and Vishnu is also fraught as Vishnu desperately wants to be taken seriously, to be the next Sarkar. Quick to flare up or retaliate he has no ‘off’ switch and only intermittent self awareness. The pain of rejection drives him, and makes him vulnerable to manipulation. Vishnu is co-opted by his father’s enemies, and spirals into confusion, hate, anger and regret. He is an oddly sympathetic character despite committing some of the most heinous acts. I think that is due to the complex and changing emotions Kay Kay invests him with. 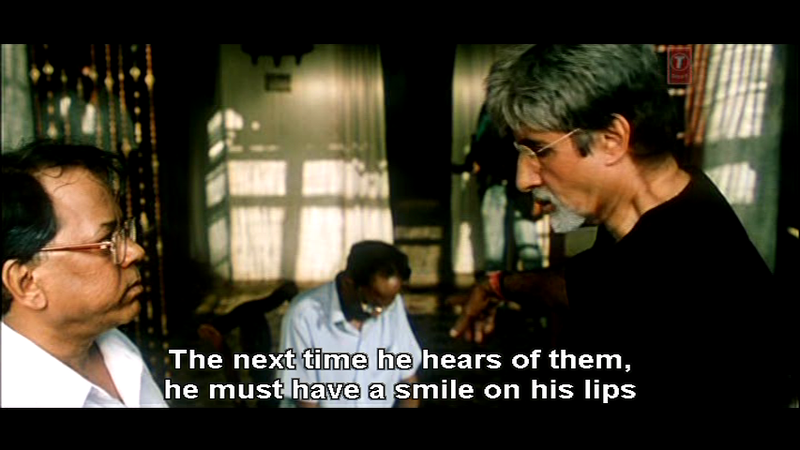 Kay Kay is expressive and emotional where Amitabh is smouldering control. The Nagre mansion is a world away from the glaring light and sound of the streets. It is almost timeless, and full of shadows and silhouettes. All around there are men at arms working out and waiting for trouble. The family live in a small pocket of domesticity within the encampment. It’s a bit claustrophobic, but also serene and sometimes beautiful. It is the price Nagre pays as he needs to be safe but accessible to the people who give him his status. All around Mumbai there are shadowy figures in dark room havings meetings and plotting Subhash’s downfall. The story is well written by Manish Gupta, and gains in intensity as more deceptions unfold. Kota Srinivasa Rao is the repulsive Selvaramani, chortling his way through schemes and double crosses. His idea of honouring a friendship is requesting a quick death for someone. Anupam Kher has a small role as an anti-corruption politician and still manages to try and upstage everyone with a hammy death scene. Raju Mavani as Vishram Bhagat is the everyman type of villain – he seems perfectly reasonable yet he is calculating and meticulous in scheming to dethrone Nagre. Telugu actor Jeeva as Swami is less successful. His mannerisms and dialogue delivery are hammy, and while I believed he was a serious threat his wig didn’t convince me at all. Supriya Pathak delivers a good performance as the mother watching her son go off the rails and placing her family in deadly jeopardy. Tanisha is likeable as Avantika, the foster daughter who is in love with Shankar. Katrina Kaif is not entirely terrible as Shankar’s American based girlfriend Pooja. But the women in Sarkar are background – providing all the support systems and needs for the menfolk, but not often in the spotlight. These relationships are important, and there is a lot of affection between family members but the men take care of business while the women take care of the men. The visual design and camerawork throughout Sarkar is excellent and reinforces the drama and emotion. The majority of the film is shot in tight close ups, making the characters the focal point. When things move out into a broader shot, the background detail and bustle of extras and locations gives a strong real world flavour. Amar Mohile’s music is dramatic but not intrusive and the sound effects and orchestration are very effective. It’s a fairly grim movie. There are lots of unlikeable characters and they do some despicable things. But it is such an accomplished film and just drags me in to that world. 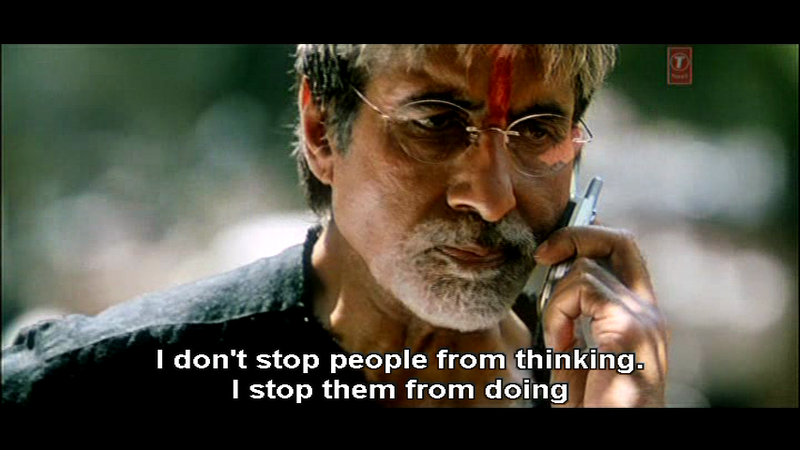 Every time I see it Amitabh reminds me yet again of why he is such a legend. Sarkar Raj was a worthy sequel, and builds on Sarkar very well. I’m cautiously looking forward to Department to see if RGV and the Big B can do it again in a different story. 4 stars. Heather says: This isn’t one of my favourite Amitabh films despite the fact that I think he plays the part of the aging gangster well. I think the problem is that the story of the film doesn’t engage my interest until near the end and I just don’t care enough about any of the characters to want to know what happens to them. However it does have some good points and the end is almost worth sitting through the preceding hour and a half. 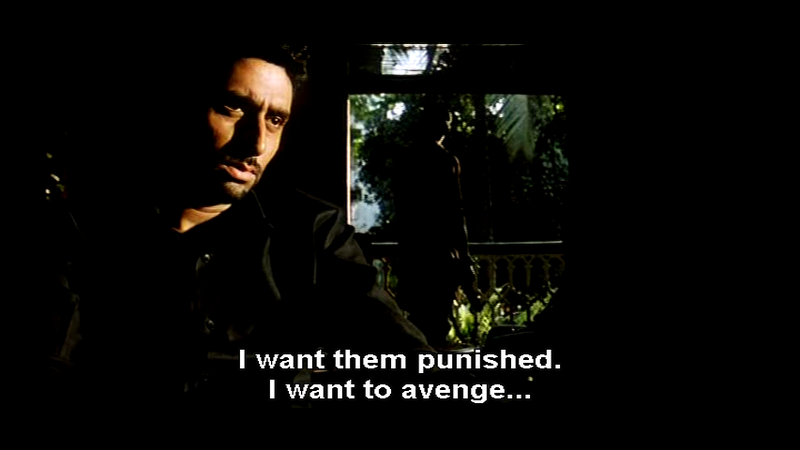 I do like how cold and clinical Amitabh appears and that his ruthless Don does have a more compassionate side. However that’s not enough to make me like him and since he’s not a malicious criminal either I don’t find him very interesting to watch. His son Vishnu is more engaging and Kay Kay Menon’s performance is good enough to make me feel at least some aversion for his sleazy character, but Abishek as Shankar is incredibly wooden and quite tedious throughout. The most enjoyable scenes in the film for me are those with Selvar Mani and Virendra Swami, partly because Kota Srinivaso Rao and Jeeva both put in a very good performances and because those two characters do have some personality. The rest of the cast are all fine, and in fact many of the support actors draw my attention much more than the main leads. However I have no idea why Katrina Kaif bothered to turn up as she may as well not have been there for all the impact her character had on the story. I thought her role was fairly pointless and much better reasons could have been used for Shankar’s initial reluctance to help his father. There are a lot of meaningful pauses and significant looks throughout the film which make it even slower. I was distracted looking at the set dressing (which was excellent!) and when there was dialogue found that I was concentrating on understanding the Hindi and trying not to look at the subtitles, rather than watching the action. The film itself is well shot and the general idea of the story is interesting, but the characters are so lacking in any type of appeal that it never really connects. It’s not even that I found them dislikeable, they were just rather dull. I give Sarkar 3 stars, mainly for the ending and a convincing if uninspiring performance from Amitabh. This entry was posted in Bollywood and tagged Abhishek Bachchan, Amar Mohile, Amitabh Bachchan, Anupam Kher, Bollywood, Hindi, Jeeva (Telugu), Katrina Kaif, Kay Kay Menon, Kota Srinivasa Rao, Manish Gupta, Raju Mavani, Ram Gopal Varma, RGV, Sarkar, Supriya Pathak, Tanisha, Zakir Hussain. Bookmark the permalink. Nice review. I liked the part 2 much more than part 1 for its twists and turns. This is inescapably going to sound prurient, but ” that film all about Mahie Gill’s cleavage” caught my eye. With her filmography including Dev D, Sahib Biwi aur Gangster and now Paan Singh Tomar, I didn’t associate her with that sort of film, and in fact not with RGV. I was so intrigued I checked both IMDb and Wiki, but my eyes and/or neurons must be failing me, because I can’t find any of her listed films with RGV as director or producer, and can’t find her listed in any of his films? This one – Not a Love Story http://www.imdb.com/title/tt1999935/. To be fair, it’s not all about her cleavage – it’s also about her knickers. Ah, well then, I’m not sorry to have missed that. Let’s hope she’s moved on to better things.